With the participation of art works from the Museu Nacional in exhibitions around the world, not only do we get to know the wealth and make accessible, but also to enrich the knowledge of the collection. In addition, the museum makes accessible part of their funds in other platforms, such as Google Art Project and Europeana, to take part in projects of international scope. Within the framework of the commemoration of the 175th anniversary of the birth of the painter Ramon Casas (1866-1932), the Museu Nacional d’Art de Catalunya, has joined the event by co-organising, together with the Museums of Sitges and the Fundació Social la Caixa, the central exhibition of the Casas Year. 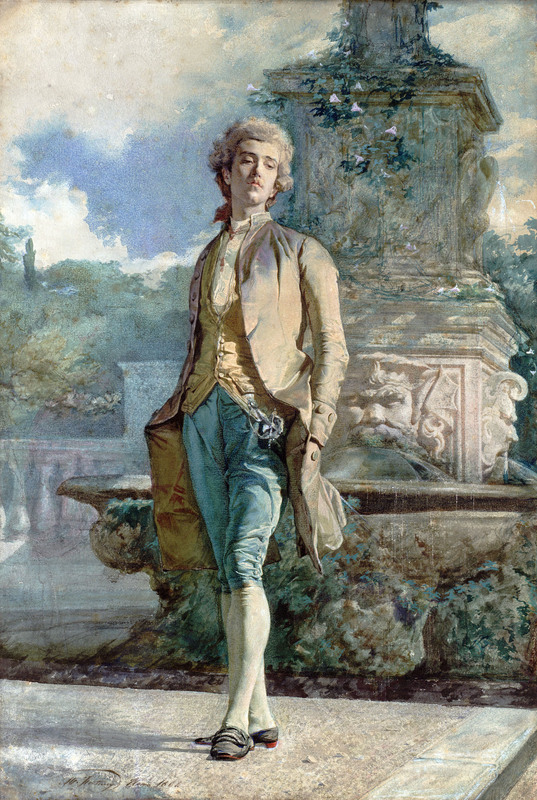 With the aim of contributing to the success of the exhibition, the Museu Nacional has provided a carefully prepared selection of the most canonical works by one of the better represented authors of its collections. This exhibition, which can be visited in Sitges from 16th November 2016 to 19th February 2017, and afterwards will travel to Madrid (7/3/-11/6/2017) and to Palma (5/7/-29/10/2017), will present approximately 200 works, among paintings, drawings and posters. The exhibition Welcome Home. Heritage Artworks Outside Andorra, from September 24th to January 11th 2015, gathers art pieces, mostly mediaeval, which come in its majority from the Museu Nacional, and which have been reunited with other art pieces preserved in Andorra. In this way, the carving of the apse of Sant Esteve d’Andorra la Vella, for example, has received the fragments of mural painting of this church which are usually in the Museu Nacional. Other pieces from the museum to be highlighted are the mural paintings of Sant Romà de Bons or the altar of Sant Romà de Vila. The painting of Marià Fortuny (1838 - 1874) The Slaughter of The Abencerrajes is staying away from the Palau Nacional for a long period. The work is on loan for the exhibition Benjamin-Constant. Merveilles et Mirages de l'Orientalisme, at the Musée des Agustins de Toulouse from October 4th 2014 until January 4th 2015. Afterwards, Fortuny's artwork is travelling to Montreal (Canada) and it will be exhibited at the Musée des Beaux-Arts de Montréal, from January 31st until May 31st 2015. Visitors will be able to contemplate one of the paintings that the Catalan artist made in Granada in 1870, which helps to understand the influence that Fortuny produced in the European painting of the last decades of the 19th Century and, concretely, in Benjamin-Constant's style, as these two artists coincided for two years while Fortuny was living in Granada, between 1870 and 1872. As part of the programme of the Tricentenari, an exhibition of the photographer Joan Fontcuberta has been held at the Science Museum of London. The exhibition, named Stranger than Fiction, is open to the public from July 23rd until November 9th 2014 and presents some of the best-known pictures of the Catalan photographer, who has received the Hasselblad Award 2013. In this exhibition, visitors are transported to a visual universe where reality and imagination are merged causing surprising effects. Two series should be highlighted: the pictures of mermaid fossils and the photographic reports about mysterious fauna. Portrait of a woman of 57 (1539), from Thyssen-Bornemisza Collection on deposit with the Museu Nacional, has travelled to the Huis Nergh Castle in Heerenberg (the Netherlands), in order to meet with its partner painting Portrait of an adult man, at the exhibition Man Seeking Woman! Double Portraits at Bergh Castle, which is open until October 15th 2014 and after that it is moving to the Fundación Thyssen-Bornemisza in Madrid until July 5th 2015. The main motive of this exhibition is the meeting of the two matching portraits painted by Hans Mielich, which after many years of being separated will again be exposed side by side, looking at each other out of the corner of their eyes. 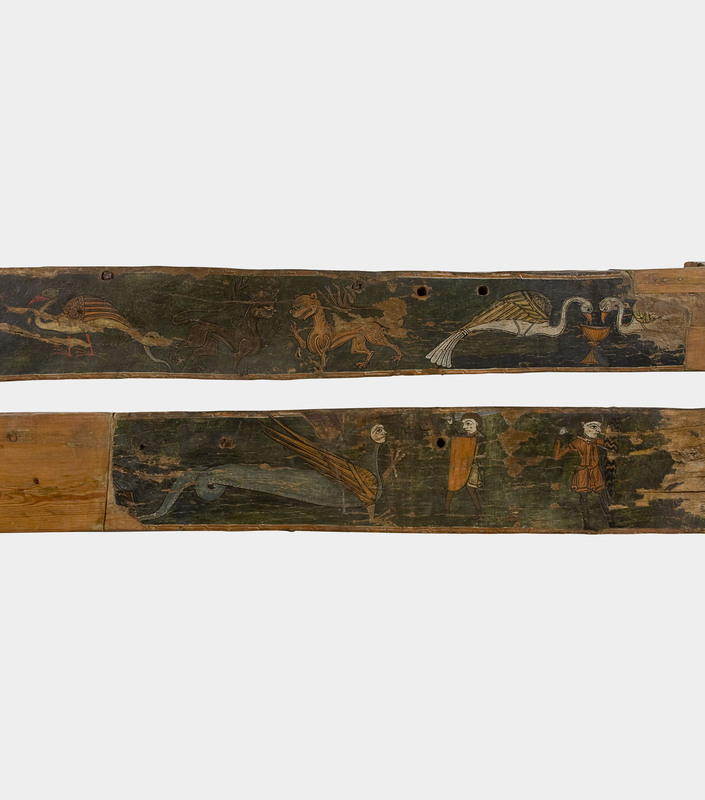 Although their identities remain unknown, it is likely that they were a wealthy marriage of the Bavarian region, as most of the artist's clients. 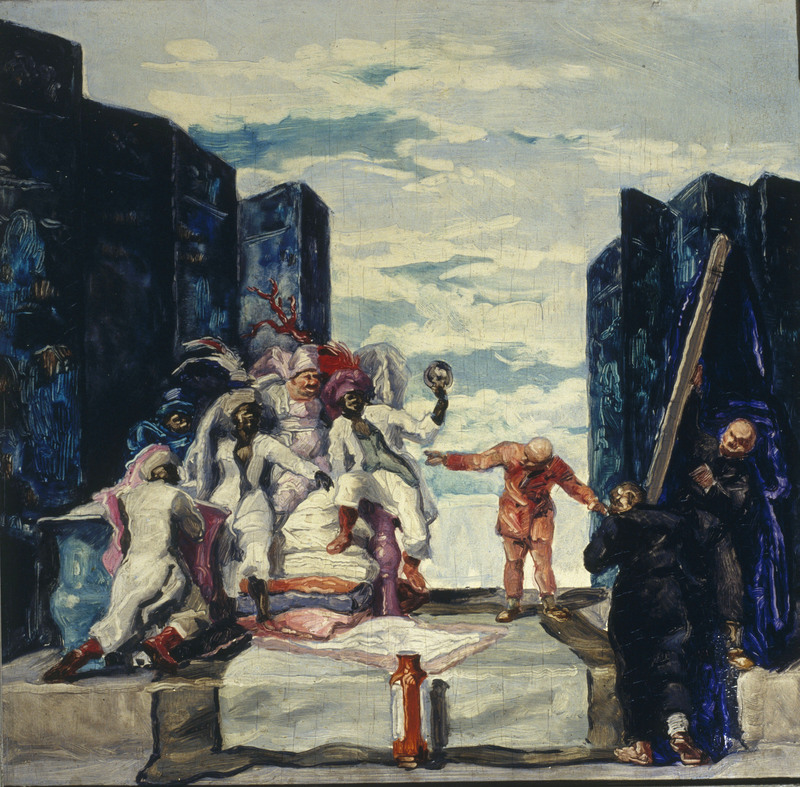 In 2014, for the commemoration of the 4th Centenary of the death of El Greco, some activities and exhibitions related to the artist have been celebrated. For this reason, the painting of the Museu Nacional Saint Peter and Saint Paul has travelled to Toledo in order to be exhibited at The Greek of Toledo, the exhibition that has taken place between March 14th and June 14th 2014 and for which more than one hundred works of the Crete artist have been gathered. Afterwards, the painting is being moved to El Prado Museum, in Madrid, for the exhibition El Greco and the modern painting (June 24th - October 5th 2014). The exhibition Arissa. The Shadow and the Photographer 1922-1936, inaugurated on June 4th 2014 in Madrid in the headquarters of the Fundación Telefónica, focuses on Antoni Arissa as a representative photographer of the Avant-garde photography. The exhibition comprises more than 160 black-and-white pictures that reflect his stylistic evolution, from Pictorialism to New Vision, and to the visual Avant-garde that will lead his photography to modernity. From November 13th 2014 until April 12th 2015, Arissa's exhibition is scheduled in the Centre de Cultura Contemporània de Barcelona (CCCB). In March 2013, the Catalan photographer Joan Fontcuberta received the Hasselblad award, the most prestigious international award in the field of artistic photography. Since 1980, the Hasselblad Foundation has awarded this prize for outstanding professional photographers such as Henri Cartier-Bresson, Cindy Sherman, Richard Avedon, Ansel Adams, Robert Frank and Paul Graham. This award entails holding a temporary exhibition of the artist's work at the headquarters of the Hasselblad Foundation in Gotebörg (Sweden). The exhibition devoted to Joan Fontcuberta, under the title The Photography of Nature/The Nature of Photography t akes place from 26 October 2013 to January 26, 2014. Among the works on display include the series Herbarium, composed of 30 photographs of the Fons d’Art de la Generalitat de Catalunya, on loan in the Museu Nacional d'Art de Catalunya. You can see these pictures in our collection on-line. With the aim of highlighting the value of one of its most important collections, the Museu Nacional d’Art de Catalunya is jointly organising, together with the Patronato de la Alhambra y Generalife and the Fundació Bancària la Caixa, a major retrospective exhibition of the years of the painter Marià Fortuny (1838-1874) in Granada. The exhibition, which will be travelling to Granada (23/11/2016-26/03/2017), Saragossa (26/4-27/8/2017) and Seville (19/9/2017-7/1/2018), includes an extensive selection, among paintings and drawings, of the most emblematic works produced during the two years of residency of the painter in the city of Granada that the Museu Nacional conserves. A representative series from the Modernist collection of the museum has travelled to Brazil to participate in the exhibition Gaudí: Barcelona 1900, which recreates the creative vitality of Barcelona from the beginning of the 20th century, the moment in which the city became one of the epicentres of European art, the scenario of Bourgeoisie power and the class struggle. And it was during this period that Modernism emerged, a movement in which the traditional arts were integrated with craftwork, and which not only included art, but also all the fields of culture, and social and political life. The exhibition, which can be seen in Florianópolis (27/8-30/10/2016), Sao Paulo (19/11/2016-5/2/2017) and Rio de Janeiro (date to be confirmed), gathers together more than one hundred objects, furniture, models, and paintings, the work of architects, designers and painters from the period, from different museums, as well as 46 models by Gaudí (four on a monumental scale) and more than 25 pieces of furniture and various objects, representative of his work. Three Parisian scenes by Ramon Casas, one by Santiago Rusiñol and two more of Joaquim Sunyer have traveled up to the Schirn Kunsthalle in Frankfurt, to take part of the Esprit Montmartre. 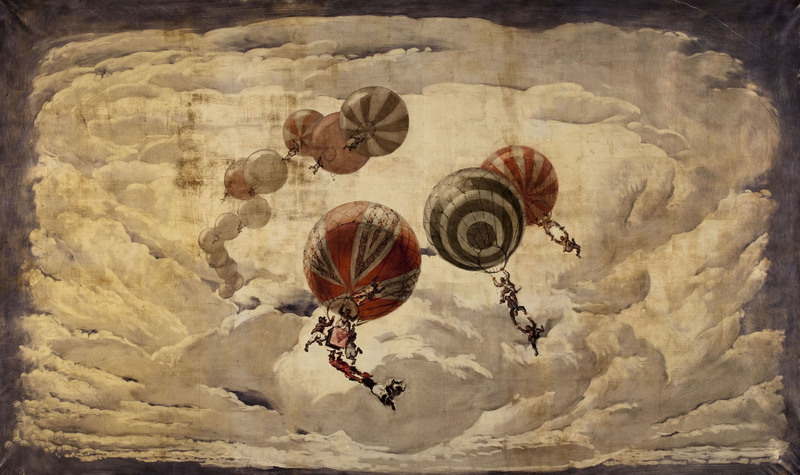 The invention of Bohemia in Paris around 1900, from 7 February to 1 June 2014. In the framework of the exhibition The Eighth Temple-the Art of Endre Bálint, held in the Hungarian National Gallery in Budapest, from 31 January to 25 may 2014, the beam of Cardet visit Hungarian lands. Apostles of Orcau and Saint Peter by Annibale Carracci and Francesco Albano have travelled to Ravenna, in the exhibition L'incanto dell ' affresco. Capolavori strappati. Da Pompei a Giotto, da Correggio to Tiepolo, a review of the most important frescoes of the European art of all periods. The view held from 15 February to 15 June 2014. In the exhibition Roma en el bolsillo, inaugurated in Museo Nacional del Prado on the 15th of October 2013, the visitor can admire, until January 19, 2014, the Italian notebook by Domingo Álvarez Enciso (1739-1800), from the collection of the Museu Nacional d'Art de Catalunya. It is a unique opportunity because, since its acquisition in 1957, this work never had left the Cabinet of Drawings and Prints at the museum. Made up of 94 drawings, the book documents the internship one of those artists who completed his training in Rome. In the case of Alvarez Enciso, his work corresponds to two periods of residence of the painter in the city: between 1758-1762 and 1773-1789. In general terms, the sheets of taccuino reflect copies of paintings preserved in Roman churches and considered as models in the learning process. 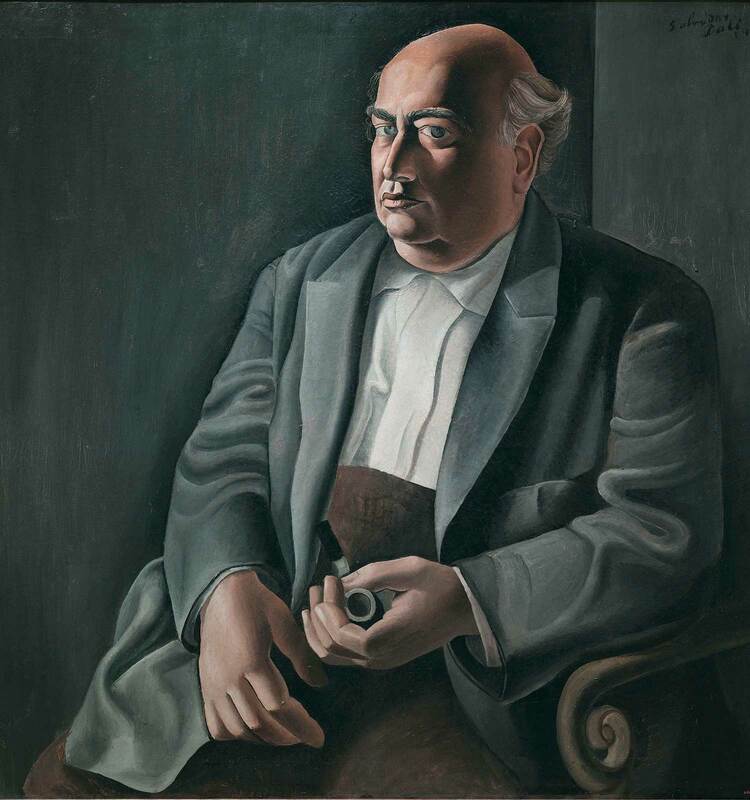 Twenty-eight works, between oil paintings and drawings, by the Reus artist Marià Fortuny have travelled to the capital of Baix Camp for a major exhibition-homage that Reus has dedicated to its illustrious artist. Fortuny, el mite (Fortuny, the legend) was held in the Museu d’Arqueologia Salvador Vilaseca from 25th April to 1st September 2013. Works as emblematic as The Spanish Wedding, an oil painting on wood, are only loaned by the museum on exceptional occasions. The oil painting Portrait of my father and the drawing Portrait of the artist’s father and sister, by Salvador Dalí, were able to be seen in the monographic exhibition Dalí that was held in the Centre Pompidou of Paris, from 21st November 2012 to 25th March 2013, as a first venue, and in the Museo Nacional Reina Sofía, from 23rd April to 2nd September 2013, as a second venue, where only the oil painting was exhibited. Nineteen works by Josep M. Sert travelled to the exhibition José María Sert, le Titan à l'oeuvre (1874-1945), which was held in the Petit Palais, Musée des Beaux-Arts de la Ville of Paris from 8th March to 5th August 2012. The museum loaned, amongst other works, 6 models of paintings destined to decorate Spanish palaces, such as the Palacio de Liria, or also the cathedral of Vic, as well as preparatory studies for the paintings of the Saló de Cròniques of the City Hall of Barcelona, or for the Waldorf Astoria Hotel, New York, amongst others. 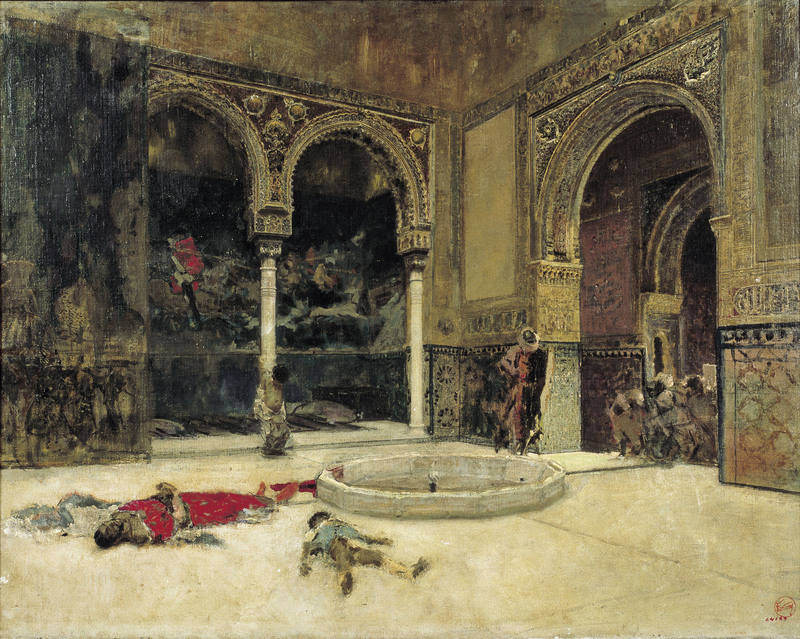 Marià Fortuny, The Slaughter of The Abencerrajes. Granada, circa 1870. Josep Maria Sert, Flyers. Study for the decoration of Mediterranean Fantasy in the living room of Venice Mdvani, 1934-1935. 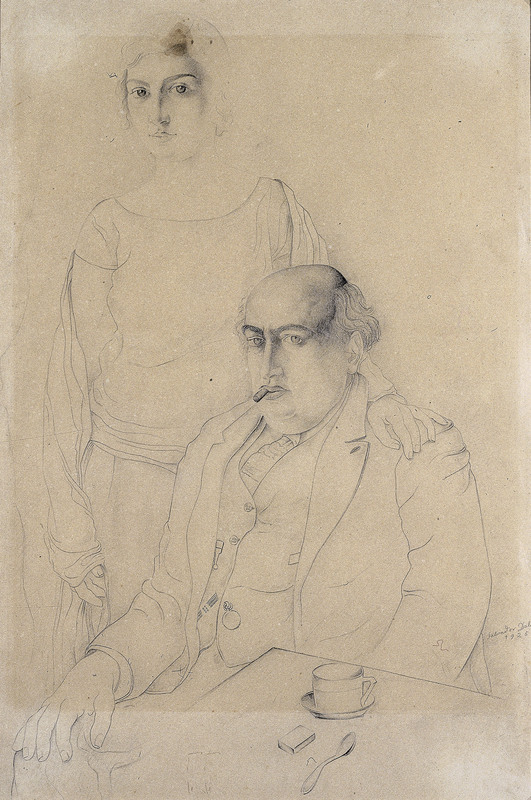 Salvador Dalí, Portrait of the Artist's Father and Sister, 1925. 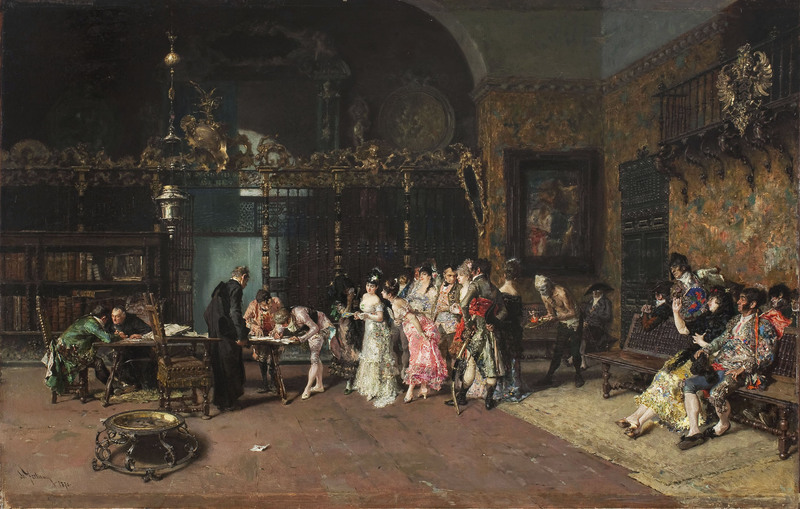 Marià Fortuny, The Spanish Wedding. Roma, 1868-1869. Paris, 1870. Marià Fortuny, Il contino, 1861. Anonymous, Beam of Cardet. Catalunya-Aragó, mid-13th Century. 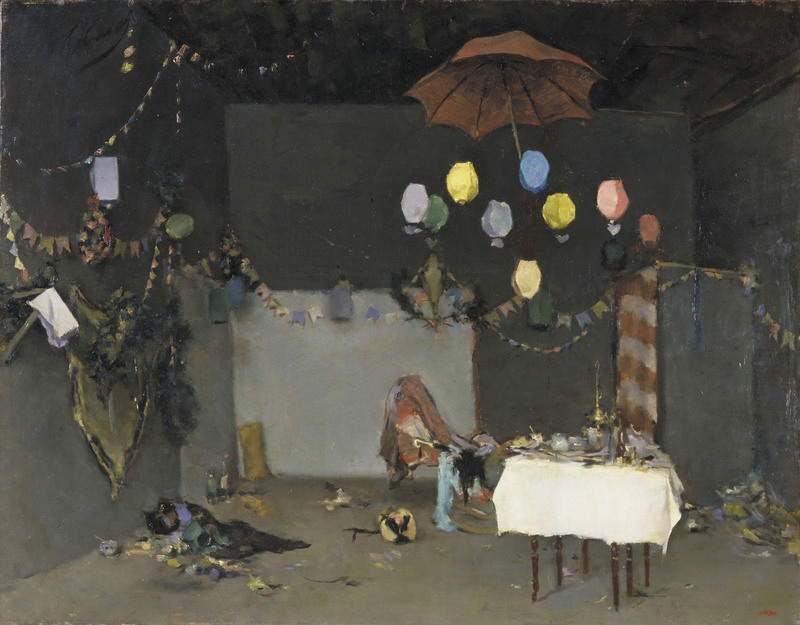 Ramon Casas, Studio Interior. Paris, circa 1883. Ramon Casas Carbó, Le Sacré Coeur, Montmartre. Paris, 1891. Santiago Rusiñol, Entrance to the Park of the Moulin de la Galette. Paris, 1891. Ramon Casas Carbó, Moulin de la Galette Interior. Paris, circa 1890-1891. Joaquim Sunyer Miró, Le clochard, circa 1900. Annibale Carracci, Saint Peter, 1604-1607. Joaquim Sunyer Miró, Inside a Cabaret in Montmartre, circa 1898. Anonymous, Apostles from Orcau, First half of 12th.